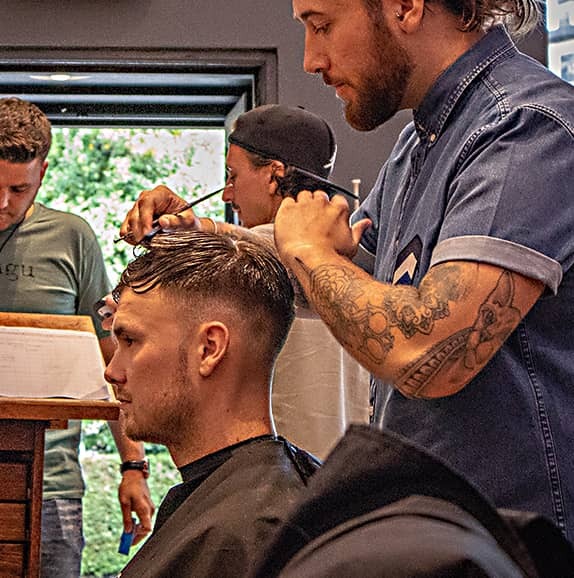 Established in 1999, Boombarbers have paved the way for contemporary hair styling and barbering here in Edinburgh. 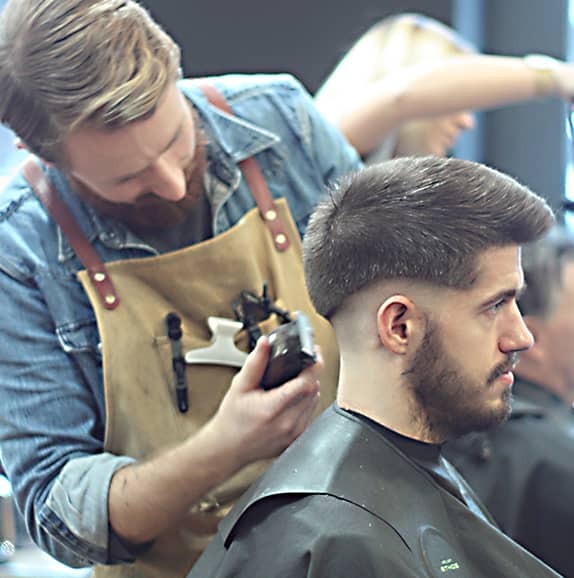 Offering a wide range of services from gentlemen’s cuts and beard trimming, to woman’s styling and colouring, Boombarbers have blurred the lines of traditional barbering, offering a friendly, community based one-stop-shop for both men and women. 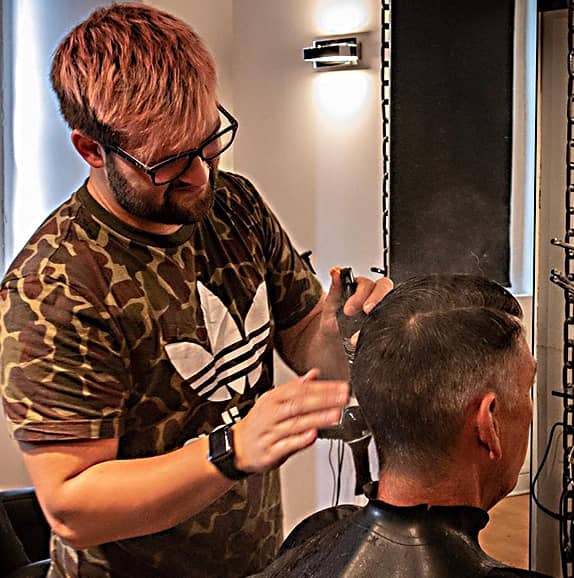 Boombarbers was founded in 1999 by Scott Williams, following 15 years cutting hair within top salons around the world, from Paris to Sydney Australia. 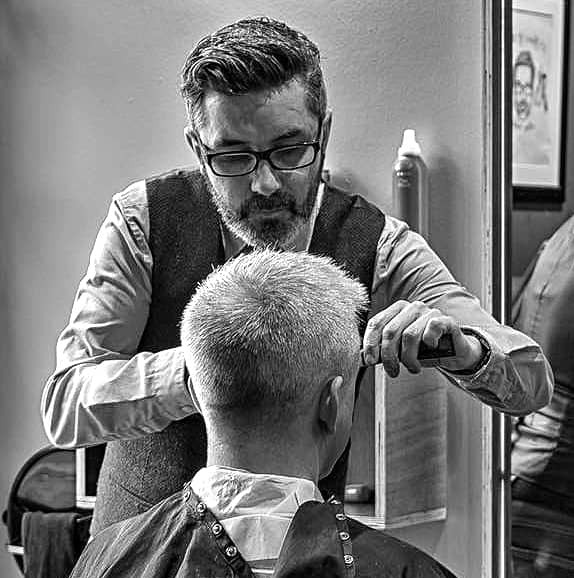 Scott’s ambition was to open a modern day barbershop in Edinburgh that offered something more. 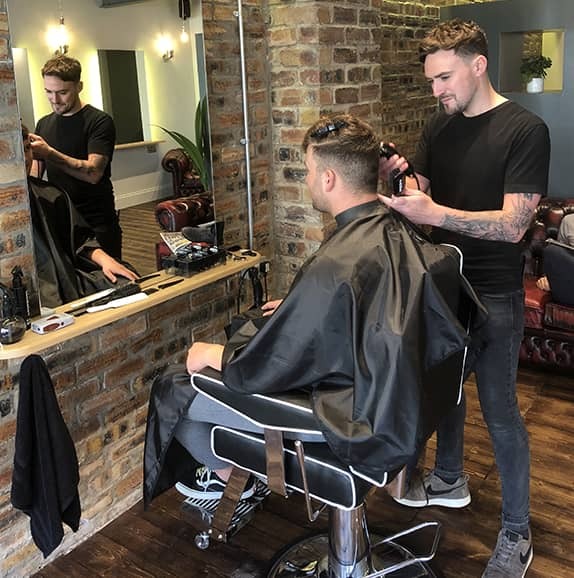 A place where people would feel comfortable, relaxed and welcome, whilst at the same time receive a high quality professional haircut at an affordable price. An experience that people genuinely looked forward to and which brought people together. Boombarbers flagship salon opened its doors in November 1999. 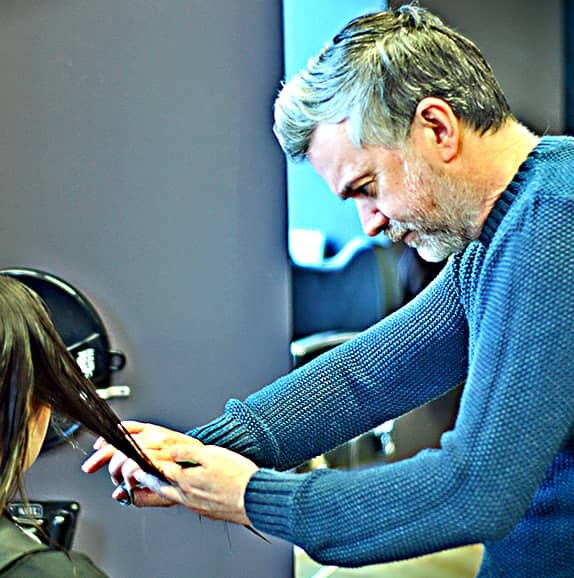 Nestled in the centre of Edinburgh’s bustling financial district, the Melville Place salon is always a hive of activity, serving the many businessmen and women that occupy this side of the city on a daily basis. As well as global financial businesses, Edinburgh’s West-End is host to many small local businesses, bars and restaurants, forming its own strong, friendly and supportive local community. 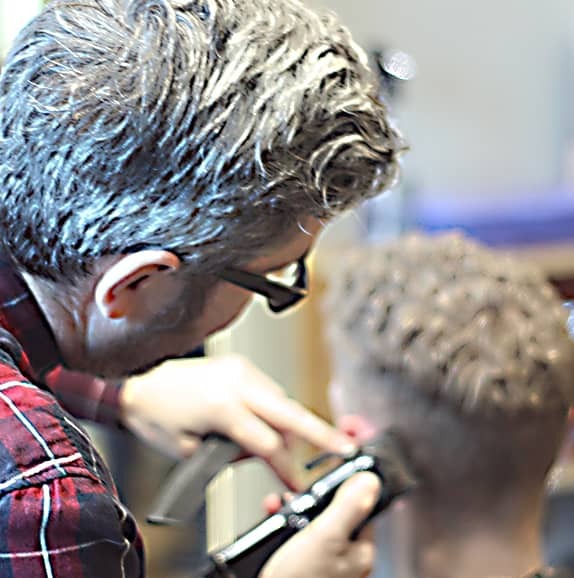 Boombarbers, Deanhaugh St, can be located in the popular Stockbridge area of Edinburgh. Once its own village, it was incorporated into the City of Edinburgh in the 19th century. The word Stockbridge, derives from the Anglic stocc brycg, meaning “timber bridge”. Although no longer made of timber, St Bernard’s bridge still remains a prominent feature of Stockbridge. Today Stockbridge is a hive of small, wonderful boutique shops, bars and restaurants, attracting many to their doorsteps every day. Surrounding Stockbridge is Inverleith park, The Royal Botanic Gardens and the sprawling Waters of Leith, where you can enjoy many relaxed walks. Broughton, once a feudal barony known for its Witchcraft, is where you will find our Broughton Street salon. The street is home to many independent speciality shops, such as antique dealers, art dealers, crafts and clothing. Broughton is today at the centre of Edinburgh’s “pink triangle”, an area of the city with a number of gay bars and clubs. The street itself leads up to the Edinburgh Playhouse, where many West-End and Broadway shows tour. A lively and modern area, you will always find a good time in Broughton. Located north of the city centre, where land meets the North Sea, you will discover Leith and our Bernard’s Street Salon. Leith has long played an important and vital role in the history of Edinburgh, as the city’s main port. Today Leith is a highly popular and well sought after area of Edinburgh, introducing many new and modern housing developments. Surrounding the main docks you will find many bars and restaurants, including a number of Edinburgh’s Michelin Starred restaurants. Every year the area is host to the Leith Festival, when the whole community comes together and celebrates Leith through music, theatre, art, dance and much more! Dakeith is a small village to the east of Edinburgh, once home to Scotland’s largest market. Today the village is a popular destination for young families to settle and raise their children away from the hustle and bustle of Edinburgh city centre. On the High Street is where you will find our Dalkeith salon, always busy and filled with laughter, a real community spirit. South of the city centre is the Newington area of Edinburgh, where you will find our South Clerk Street salon. Newington is where many of the city’s University campuses are located, and as such, is a popular student haunt with a large variety of bars and restaurants on offer. Adjacent to Newington, you will find The Meadows, a large public park where you can enjoy a bit of peace and quiet within the city centre – especially popular during the summer months, when a cloud of BBQ smoke covers the area! 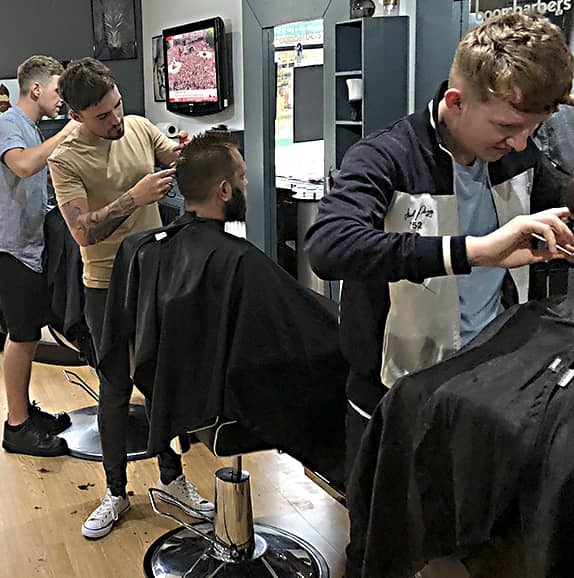 The newest addition to the Boombarbers family, our Musselburgh salon opened its doors in June 2018. Musselburgh is a large town in East Lothian, just six miles from Edinburgh city centre. Small local shops, cafes, bars and restaurants can be found dotted throughout, as well as lovely walks along the River Esk.